Nearly 600 people voted at the Posvar Hall polling location. This midterm cycle, it seems like every media outlet’s favorite touchpoint has been the blue wave. Dozens of newspapers projected a Democratic landslide in the House of Representatives in a harsh rebuke of President Donald Trump. The blue wave came to fruition across the country — Democrats won a majority in the House by converting more than 25 previously Republican-controlled districts — but in Pennsylvania it was nothing short of tsunami. Democrats re-elected popular Democratic Gov. Tom Wolf who ran against Republican challenger Scott Wagner by a decisive 17-point margin, and also re-elected Democratic incumbent Sen. Bob Casey by a similar margin. Most notably, Democrats won big among local representatives despite voting in favor of Trump in the 2016 presidential election. The party flipped four previously Republican-controlled districts, electing Mary Scanlon in the 5th District, Susan Wild in the 7th District, Chrissy Houlahan in 6th District and Conor Lamb in the 17th District. Regardless of the reason for a Democratic landslide in Pennsylvania — some pundits point to Trump’s unpopularity, others chalk it up to merely an energized base — it’s clear that high voter turnout made a difference in this election, especially turnout among young people. 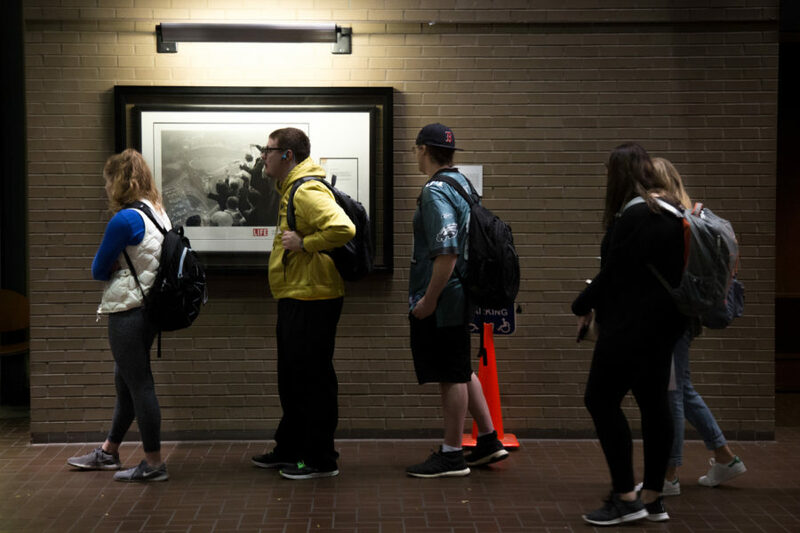 According to data from NextGen PA, a group focused on turning out the youth vote, voting numbers at Pitt and Penn State surpassed 2014’s totals after the polls were open only five hours — at Penn State, turnout was nearly double yesterday than in 2014. Across three polling locations in Posvar, the WPU and Soldiers and Sailors, nearly 3,000 Pitt students voted, 25 percent of the Pitt population — not great compared to the nationwide turnout of 45 percent, but still a massive improvement on Pitt student’s 7 percent turnout in 2014. This sets a positive and important precedent for our country’s electoral future — young voters are historically far less likely to vote in midterm elections than in presidential elections. These habits disadvantage Democrats, whom young people vote for over Republicans by a two-to-one margin — leaving most midterm elections dominated by Republicans, who attract an older demographic of voters. Yes, Republicans managed to hold onto the Senate — they had an extremely advantageous position to begin with, putting only eight candidates up for re-election compared to the Democrats’ 28 — but this midterm election has trended far more blue than prior ones, a testament to young people’s dedication to voting. Voter turnout at universities across the country — especially at Pennsylvania universities — hit a new high this year, no doubt contributing to the blue wave crashing over the nation’s politics. But students still have low rates of turnout compared to general population — if young people turn out in full force next midterm election, 2022 is sure to be a blue tidal wave.